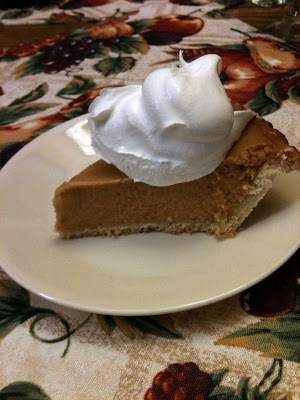 It's almost time for Thanksgiving and you know what that means....pumpkin pie! I actually haven't tried this pie myself - I don't like anything with pumpkin, nutmeg, or really any of the traditional Thanksgiving flavors. However, it's the recipe that my grandma always makes for our Thanksgiving dinner, and my dad asked me to make it. 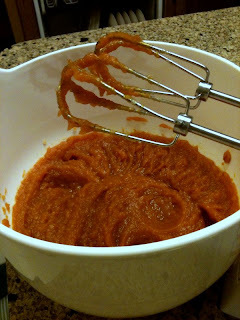 I have no idea where the recipe came from - she probably got it off the canned pumpkin label many years ago! Mix pumpkin and sugar; add spices. 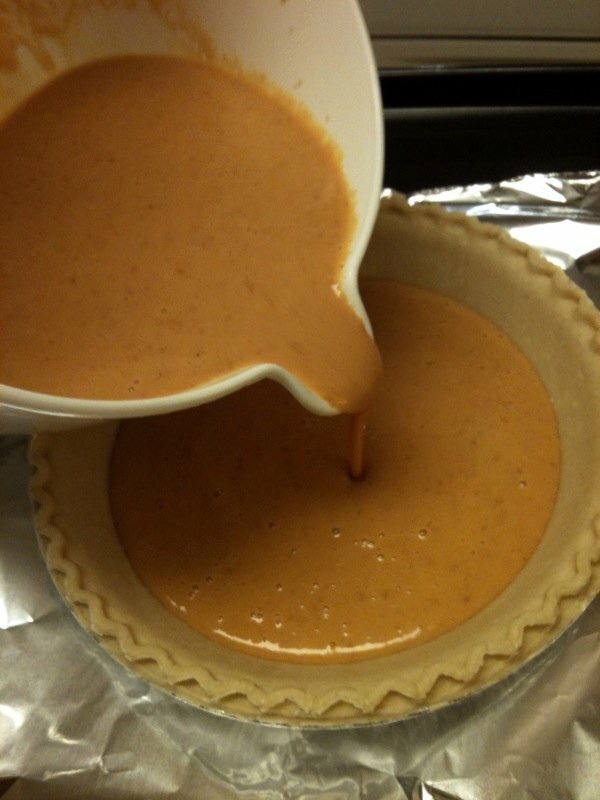 Pour into deep dish pie crusts and bake! 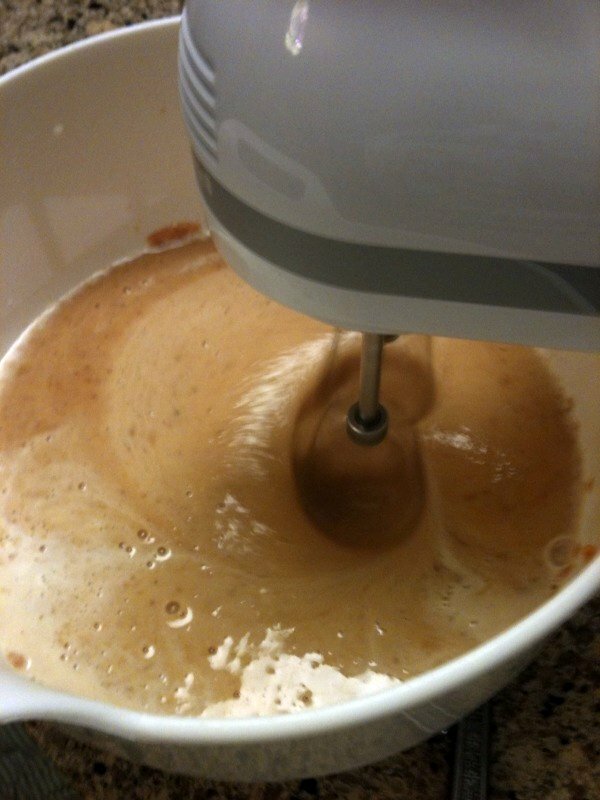 Mix the pumpkin and sugar; add spices and mix well. Add milk, then eggs. Bake in 425 degree oven for 15 minutes, then reduce temperature to 350 degrees and continue baking for an additional 45 minutes. Keep an eye on the pie towards the end of the baking time, as you may need to cover it to prevent the crust from getting too brown.